Today at the OCP Technology Day, Facebook announced the grand opening of its new hardware lab space in Menlo Park to validate and certify software solutions and Canonical was one of the first to test its solutions are OCP compliant. At the new lab, enterprise and carrier-grade Big Software solutions were deployed including OpenStack Mitaka and Ubuntu Storage on OCP Leopard, Honey Badger, and Knox. These solutions were deployed to bare metal in time measured in minutes and hours instead of days or weeks due to the use of two key technologies: Juju and MAAS, both of which are tested and validated at Facebook’s new facilities. 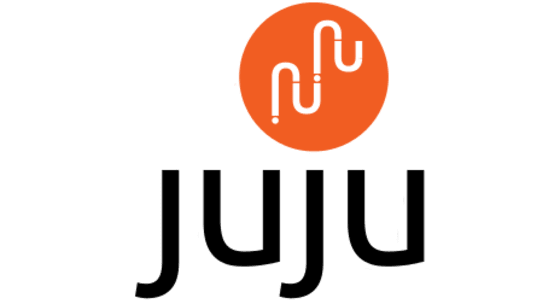 Juju is a service modelling tool that quickly models, configures, deploys, evaluates, and manages Big Software like OpenStack, Kubernetes, or Big Data to any environment from containers to bare metal to public or private clouds (e.g. Microsoft Azure, Google Compute, OpenStack). Juju is not an OpenStack installer; it is an an application that can install Big Software with complex service architectures and OpenStack happens to fit that bill nicely. Where Juju operates at the services level and allows you to run those services independent of the underlying infrastructure, MAAS, metal as a service, provides a complete automated data-center hardware solution for your servers and networks from discovery and inventory to zero-touch deployment and management. This automatically works with OCP IPMI-based hardware but Canonical also has the ability to remotely control the Microsoft OCS Chassis Manager and OpenBMC based OCP servers and switches. What this effectively allows you do is very easily deploy and re-deploy an operating system of your choice (e.g. Ubuntu, CentOS, Windows) to bare metal infrastructure effectively creating a physical cloud. Combining the OCP-hardware compatibility of MAAS with Juju empowers you to easily deploy (and re-deploy) workloads, like Hadoop, to bare-metal as easily as it is to deploy to a cloud or Big Software solution that you would typically want to run on bare-metal rather than virtualized, like OpenStack which we deploy and test thousands of times a Month in Canonical’s OpenStack Interoperability Lab (OIL). It also makes it very easy to deploy heterogeneous service models that, for example, use Microsoft Windows IIS for the web application and Ubuntu for the database backend as Mark Shuttleworth demonstrated at the 2015 OCP Summit. It is no surprise that Juju, MAAS, and Big Software like OpenStack Mitaka “just work” on modern OCP hardware. Canonical has been an OCP Gold Member and an active participant in the Open Compute Project from the beginning; from presenting jointly with ARM at the very first OCP Summit in 2011 on ARM servers, to certifying the first OCP servers (Freedom) with Ubuntu 10.04 and now most recently running the FBOSS network control software as an App via snappy Ubuntu Core on the Facebook Wedge 40. Canonical has also tested snappy Ubuntu Core on the OCP Edgecore Networks AS5712-54X, AS7712-32X, and the Facebook Wedge 40 and Wedge 100. Snappy Ubuntu Core allows you to disaggregate the Network Control Software from the Operating System and run FBOSS, Quagga, and SnapRoute as Apps on the top-of-rack switch alongside other Apps. Canonical is excited to join Facebook in driving open hardware and open source solutions and working with a wide ecosystem of not only hardware partners but operating system vendors, network software vendors, cloud and application vendors to enable innovation.